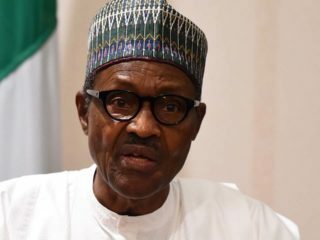 With each passing day, it is becoming apparent that President Muhammadu Buhari’s suspected ethnocentric and nepotistic tendencies are attaining an embarrassing proportion. The latest demonstration of this longstanding suspicion was the appointment of Mr. Yusuf Magaji Bichi as Director-General of the Department of State Services (DSS) to replace Mr. Matthew Seiyefa, who was recently appointed by then Acting President Yemi Osinbajo. 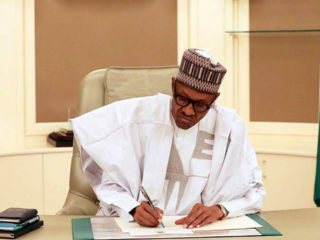 Shortly after that, the President had also picked former Minister of State for Finance, Hajia Zainab Ahmed to replace Kemi Adeosun who resigned over certificate forgery scandal. 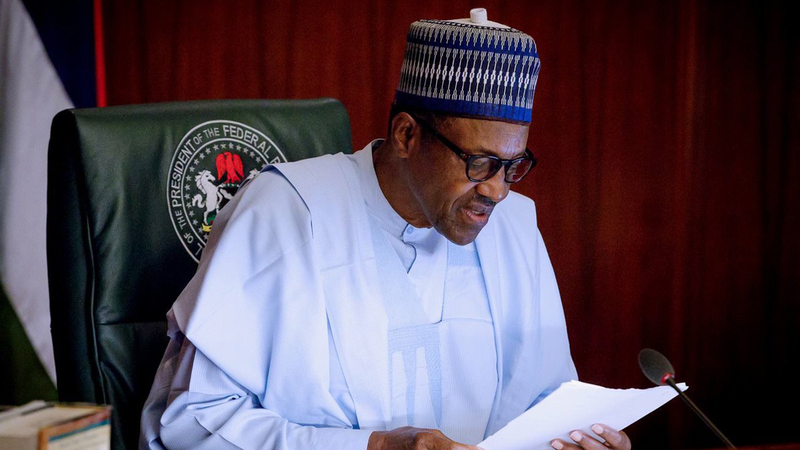 These and other past actions have reinforced speculation about President Buhari’s prejudice and insensitivity to the principles of federal character in appointments. This is curious given the status and stature of the president as a retired army general and former military head of state. Ordinarily, there is nothing intrinsically wrong in a president appointing persons with whom he is comfortable, or those he trusts. Working with persons with whom one has familiar fundamental and rationally grounded interests makes the job relatively easy. This is because a sense of understanding is more likely to be achieved. 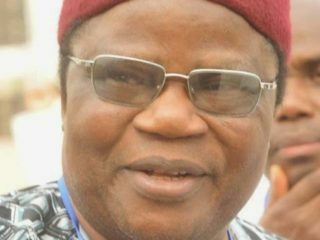 However, when a public national officer chooses, as a matter of personal idiosyncrasy to habitually surround himself or herself with only relatives and cronies to a point of compulsion, it raises serious questions about the constitutional basis of federal character, especially in a complicated federation such as ours. There are cogent reasons why this action calls for concern. First, it is a violation of the principle of Federal Character. The principle of Federal Character, as contained in Act No. 34 of 1996, which established the Federal Character Commission, is an attempt to entrench fairness and equity in the distribution of public posts and socio-economic infrastructure among the various federating units of the Federal Republic of Nigeria. It has been featuring in Nigeria’ constitution since 1979. And it is in the current 1999 constitution. Section 14 (3) of the 1999 constitution reads: The composition of the Government of the Federation or any of its agencies and the conduct of its affairs shall be carried out in such a manner as to reflect the federal character of Nigeria and the need to promote national unity, and also to command national loyalty, thereby ensuring that there shall be no predominance of persons from a few States or from a few ethnic or other sectional groups in that Government or any of its agencies. Therefore, whimsical violation of the principle of federal character is not only a bad precedent, but also a potent demonstration that government does not care about the organic law of the land. As in this case of Bichi and Seiyefa, it is not whether or not the officer involved is Bichi, but rather it is the infraction on the order of justice that causes a worry. Going out of the State Security Service system to bring in or appoint an officer who has retired, and placing him over a serving most senior officer, sends wrong signals about deployment of institutional memories, loyalty, respect for seniority and order in the service. It is as corruptive as it is disruptive, in this regard. Besides, this is not the first time that the president has carried out such faux pas. His appointments of security chiefs, his silence over serious allegations against his senior aides and kinsmen, seem as if they were a deliberate impression of nonchalance. Certainly, this kind of curious clannish allegiance can trigger disaffection in the polity and thus impede national growth and development. This is unfortunate because leading the most populous black nation on earth is not a tea party. It requires broadmindedness and uncommon grit and grace. Undoubtedly, frequent repetition of this sort of action can be inimical to healthy integration, which the country has managed to foster all these decades. What country parades a president who does not recognise the diversity and multi-ethnicity that make up the country? What is more worrisome, in response to a question about inclusive development at an international forum, our leader had responded by stating that the different regions in the country would not get the same treatment from him. He had argued that he could not give the same treatment to a region that voted overwhelmingly for him and another that scantily voted for him. That the president “in all honesty” is convinced of such partiality to a point of making it a directive principle of state policy, speaks volume about his understanding of governance and the times. 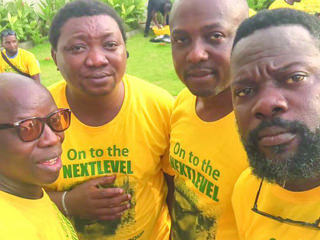 The president was that man, who during his campaign for the presidential ticket four years ago, flaunted his alleged detribalised quality by telling Nigerians of the many Christians and not Fulani private staff he had had in his professional life. Nigerians would want to know what happened to that man! Even at this end of his tenure, it is not too late for the president to genuinely redeem his image. At this time of seeking a fresh mandate, he should be bold and resourceful enough to address this perception challenge to his integrity. This is where the leader of the richest and the most populous nation in Africa needs to have victory over self – before it is too late.